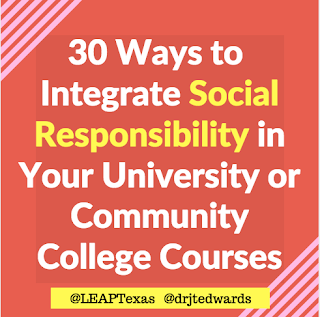 Today, I had such a great time representing LEAP Texas (Liberal Education and America's Promise) as part of the Social Responsibility Week! 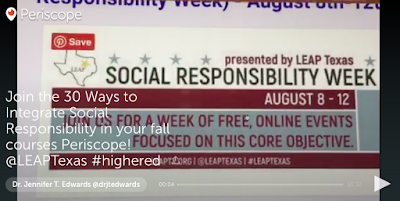 This is a week of professional development opportunities for faculty focused on infusing social media in course syllabi. 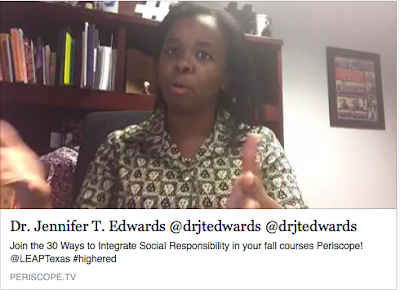 The Periscope was focused on "30 Ways to Integrate Social Responsibility in Your Fall Courses".